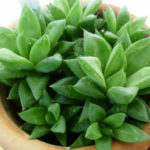 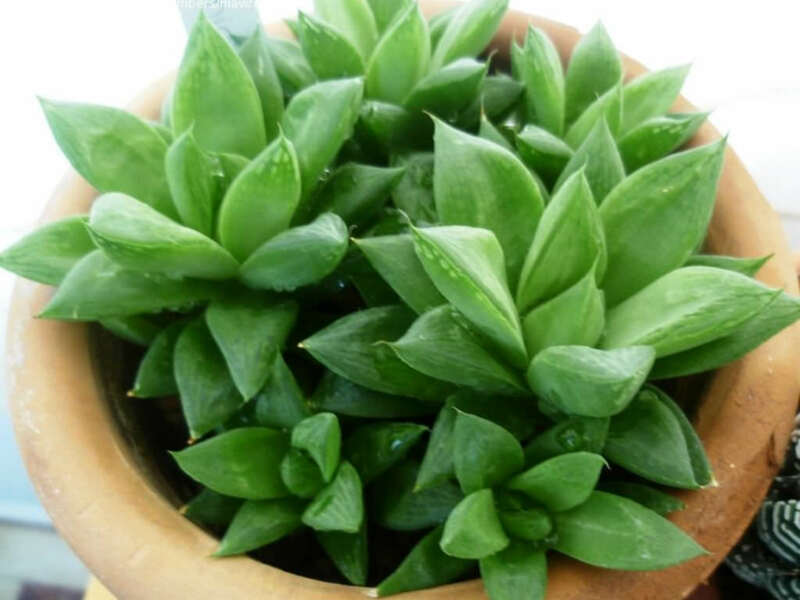 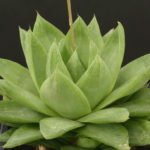 Haworthia cymbiformis is a stemless, evergreen, succulent perennial plant with simple leaves up to 2 inches (5 cm) long, arranged in rosettes up to 3 inches (8 cm) tall and 4 inches (10 cm) in diameter. 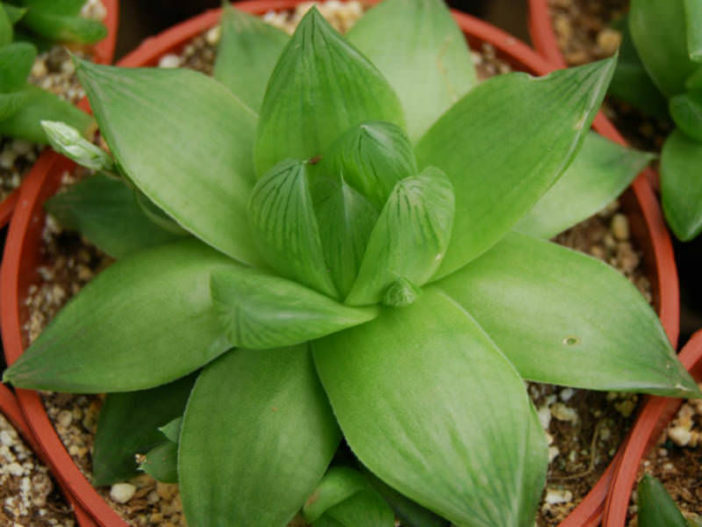 Fleshy, turgid and soft leaves pale green and obovate with finely toothed margins, dark longitudinal stripes toward the tip and translucent at the tip. 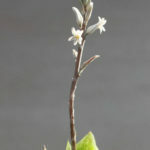 White to very pale pink flowers with brownish-green veins are borne on a up to 8 inches (20 cm) tall inflorescence. 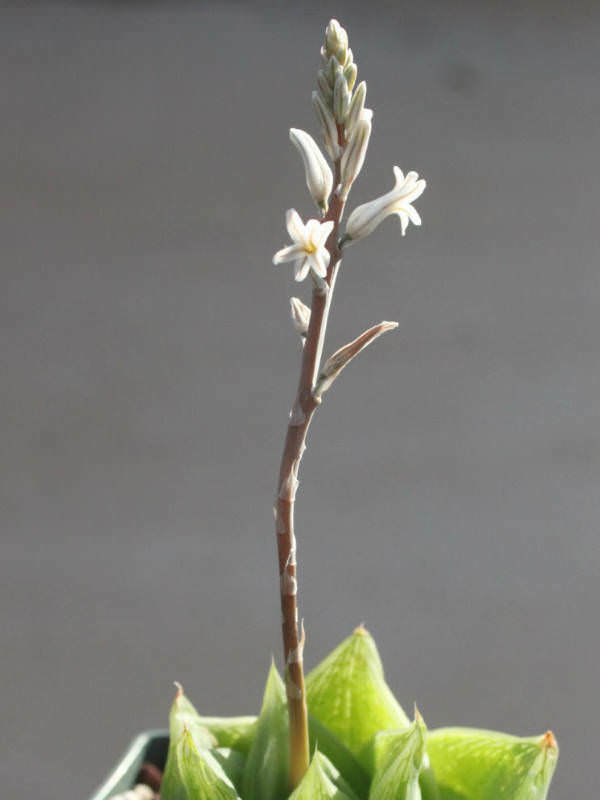 The fruits are loculicidal capsules. 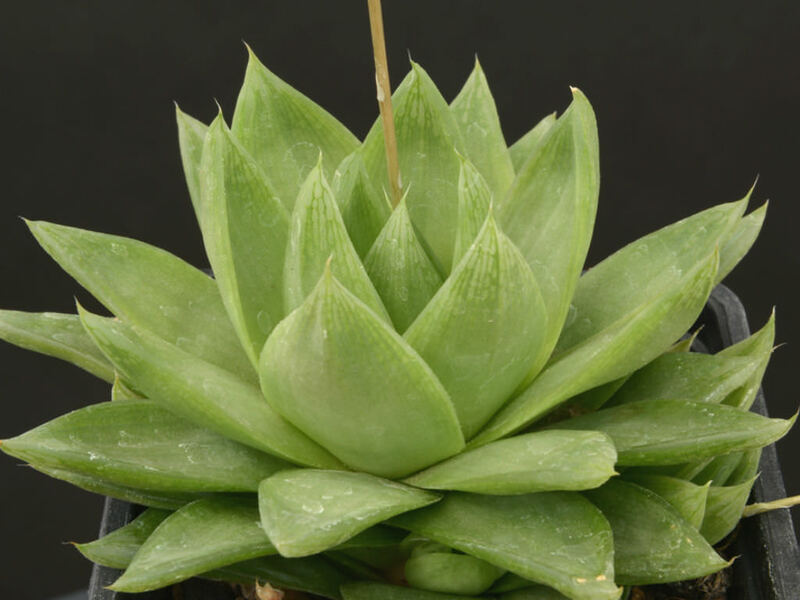 Native to South Africa (Port Elizabeth to East London in the Eastern Cape Province, on rocky slopes along rivers and streams).